In 2009, Dr. Lawrence (Larry) Real became the first psychiatrist appointed to the Horizon House Board of Directors. Shortly after that, in July 2010, he joined the agency as Medical Director. Prior to joining Horizon House, Dr. Real was an integral part of the clinical, administrative, and teaching staff of the Department of Psychiatry in the Albert Einstein Healthcare Network for over 20 years, including serving as Medical Director of the Belmont Center for Comprehensive Treatment from 1997 to 2010. Dr. Real graduated from the adult psychiatry residency at Hahnemann University Hospital, where he was co-chief resident, and fulfilled his scholarship obligation to the National Health Service Corps during the early years of his employment at Community Council for MH/MR, where he was the medical director from 1982 until 1987. Dr. Real’s belief in the possibilities of Recovery for those we serve has been a driving force behind his efforts. He has a unique ability to introduce his clinical expertise and judgment into a discussion while demonstrating an equal respect for the opinions and expertise of others — most importantly, of the individual being served. Under his leadership, Horizon House has been able to continue to attract the most highly regarded group of community psychiatrists in the region–a legacy that will be critical to our continued growth and success. Dr. Real’s accomplishments includes the 2017 Paul J. Fink Leadership Award from the Philadelphia Psychiatric Society, the 2013 Exemplary Psychiatrist Award from NAMI, PA, the 2012 Bell of Hope Award from the Mental Health Association of SE PA, and the 2011 “Righteous Person” award from TIKVAH/Advocates for the Jewish Mentally Ill, an organization that he co-founded. 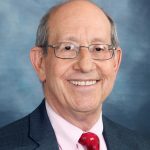 He is a Distinguished Life Fellow of the American Psychiatric Association, a charter member of the Pennsylvania Psychiatric Leadership Council, as well as a past president of both the Philadelphia and Pennsylvania Psychiatric Societies. In 2015 Dr. Real, accepted the position as the Chief Medical Officer for the City of Philadelphia’s Department of Behavioral Health & Intellectual disAbility Services. Dr. Real returned to Horizon House in 2018, to resume his role as Medical Director, and to serve as the Co-Director of the Fellowship in Public Psychiatry program at the University of Pennsylvania.